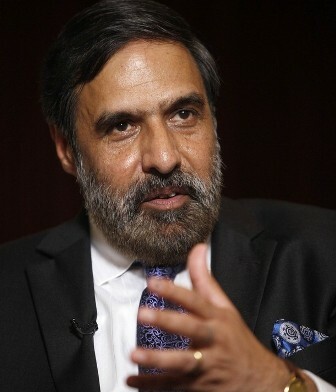 Putting many concerns to rest, India's Commerce and Industry Minister Anand Sharma has assured economists, analysts and the country's general population that, despite the fact that UAE is one of India's top ranked export destination, the financial troubles currently plaguing Dubai will have no impact on the Indian economy, or the country' real estate market. When asked about the feared situation and if would have any ill-effects on India, the Minister put on a brave face and said, "I don't think. I don't think developments in real estate sector in Dubai are going to impact it... Besides, the Indian real estate is doing well". After a year of struggling with the global financial crisis, which hit UAE a little later than other nations, Dubai is now crunching under mounting debts. The situation turned out to be much worse than initially expected, when some days back, two of the region's biggest state owned corporates said that they would be delayed in paying back the outstanding debt worth billions of dollars. Dubai's troubled financial situation has already pulled down markets across Europe and Asia for two consecutive days now, but India's authority figures are positive that it would have no adverse effects on the country. Mr. Sharma, however, does not seem to be too optimistic about the export scene. When asked if the development would have any impact on India's export to the Middle East, he merely replied with, "I hope not".